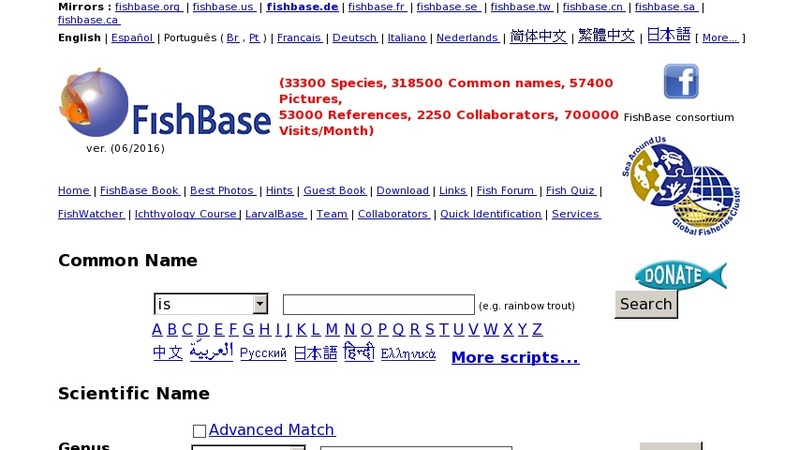 Massive database offers descriptions, data and images for 28,800 fish species in more than 6 languages. Search by scientific name, common name, or for information by: fish family, ecosystem, biological topic, country or island, among others. Individual species entries provide classification, habitat and distribution, morphological description, biological information, human uses, population status, references and many more details. Also has a larval fish database and a guide to learning & teaching ichthyology using this online source.